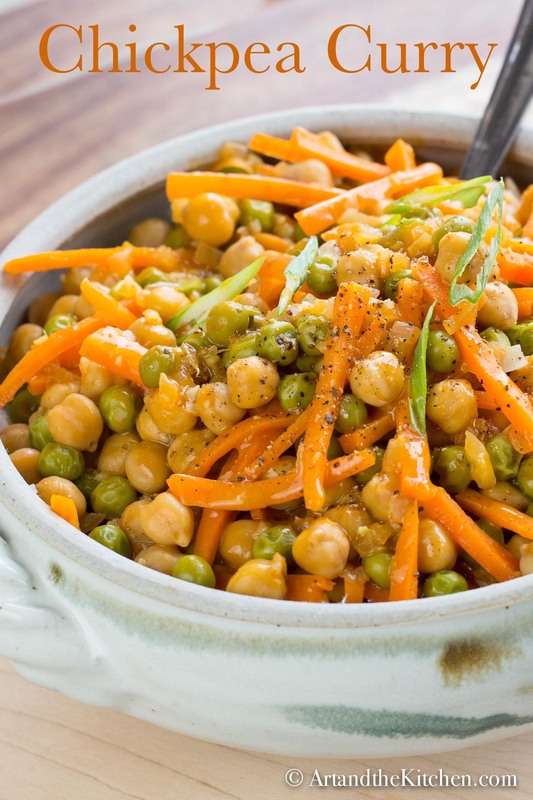 Chickpea Curry is a vegetarian dish that packs a ton of flavour! Even the meat eaters in your family will love this recipe! 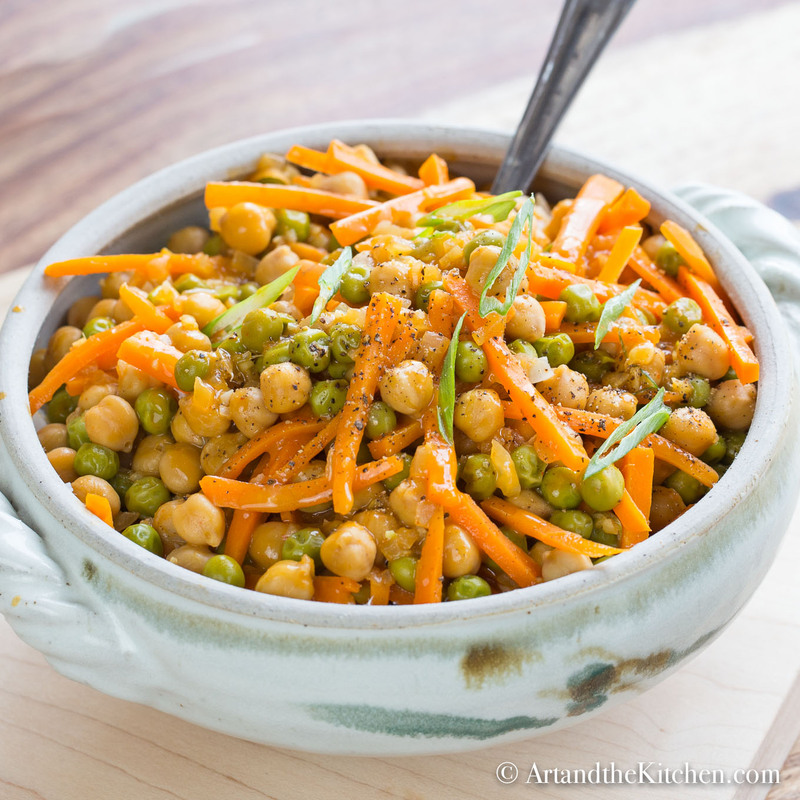 This recipe for Chickpea Curry was inspired by a dear friend of mine, Jennifer. 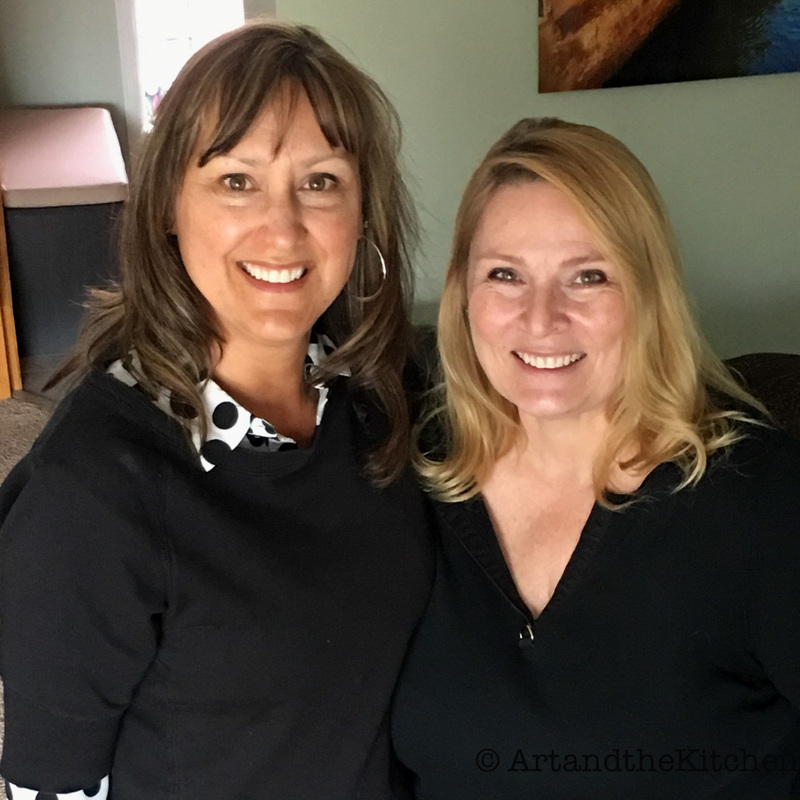 Jennifer invited me to her house for lunch and prepared an awesome vegetarian curry. This inspired me to create Chickpea Curry for my son’s vegetarian girlfriend, Brittney, who was coming to visit us for the weekend. After a bit of experimenting I came up with a recipe that everyone absolutely loved. 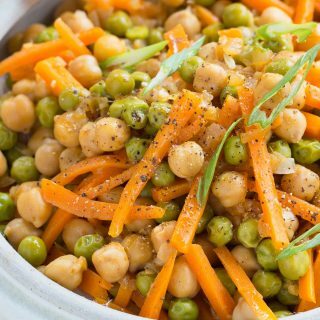 Chickpea Curry is an amazing tasting vegetarian dish the whole family will love! Stir in chickpeas, vegetable stock, coconut milk, curry paste, fish sauce and lime juice. Simmer over medium heat for about 15 minutes. 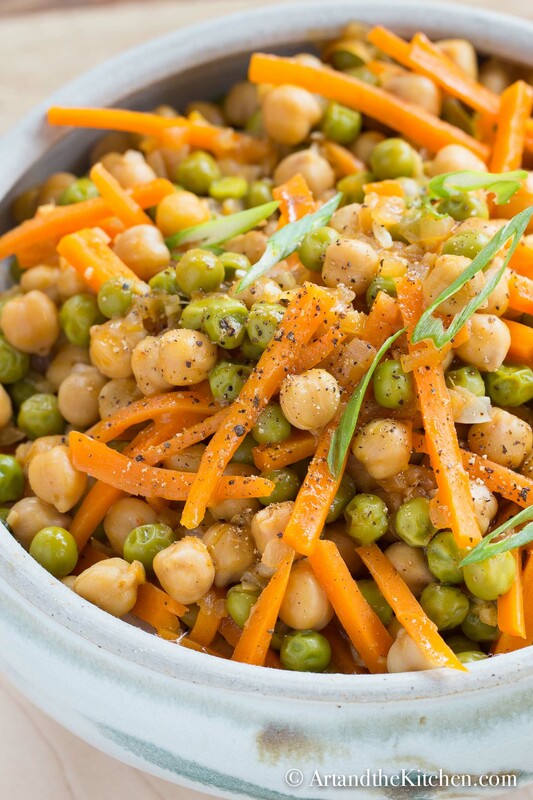 Stir in peas and cook for additional 5 minutes. Thicken sauce by combining 1 tbsp cornstarch with 1 tbsp water. Turn up heat and stir slurry into curry, simmer for 10 minutes until thickened. Serve over rice, quinoa or pasta. thanks for the inspiration Jenn! I’m not a vegetarian, but I enjoy trying different recipes every now and then. This one just made the list to be my next try! Hi Sean, I’m also not a vegetarian but my son’s girlfriend is so I’ve been doing a bunch of it the last while. Even my carnivore husband liked this recipe.